According to Forbes, the Cloud is the future of software due to the advantages and opportunities it presents for businesses. 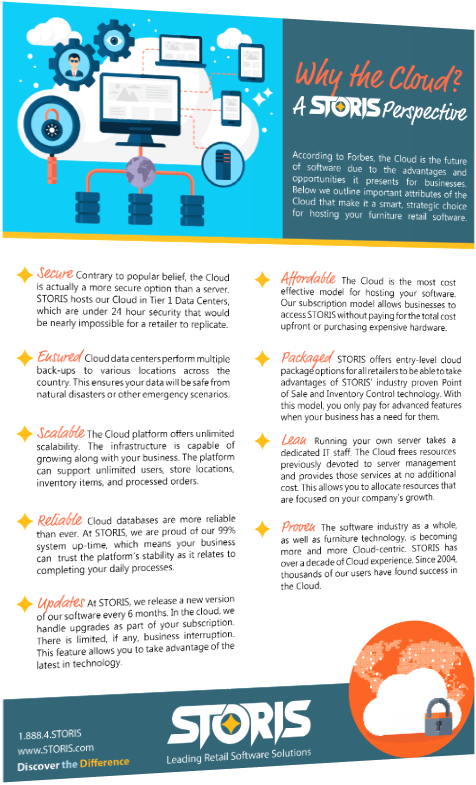 Below we outline important attributes of the Cloud that make it a smart, strategic choice for hosting your furniture retail software. Fill out the form to learn Why the Cloud could be the right choice for you.